Catwad is a new graphic novel series by bestselling author Jim Benton, and we're so excited to reveal the official series trailer today here on OOM! Book 1, Catwad: It's Me will be on sale March 26! 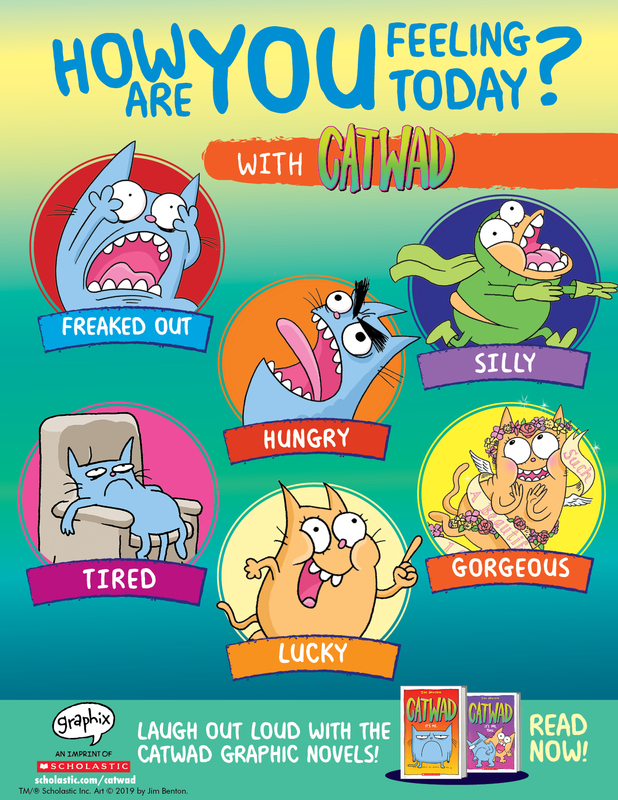 From New York Times bestselling author Jim Benton, meet Catwad! He's blue, he's a bit of a grouch, and his best friend is a dim-witted cat named Blurmp who can see the bright side of anything. From pizza and computers, to love and happiness, this crabby tabby has a funny take on just about everything, and he's not afraid to share it. This collection of short comic stories will make even the grumpiest of grouches crack up and is not to be missed! Check out the fun cover! Start reading an excerpt here, plus, download a free Catwad-inspired poster about feelings!